Tirupati is very famous all over the world for the great Balaji temple. Many people come to this place with great devotion to visit the Balaji Temple. This place is very important from a cultural and religious point of view. Every year there is an increase in the number of tourists who visit the Balaji Temple. The tourists also like visiting other temples. museums , waterfalls and more. Visakhapatnam is a big city in the state of Andhra Pradesh. The city is located in the east of Andhra Pradesh. Beautiful beaches and various wildlife sanctuaries attract tourists here greatly. There are different hill stations here which are perfectly suitable for trekking. Also, the awesome beaches are the best destination here where one can really have great fun. Nellore district is situated in the eastern part of Andhra Pradesh. Nellore is renouned for its agricultural activities. The Pennar river flows throw this region, providing good water supply for agricultural activities. This place is gifted with excellent natural beauty that attracts tourists. Also, there are many beaches around in Nellore. There are some well-built forts and temples in Nellore. Kurnool is a wonderful district of Andhra Pradesh. The place has some of the ancient paintings, rock carvings etc. Also there are some mysterious caves in some parts of Kurnool. The tourists are attracted by all these and many of the shopping items have given a different glamour to Kurnool. There are many tourist who come to this place. Kadapa has some of the most beautiful ancient carvings. This place is very beautiful in terms of landscape as well. This place has very good deposits of Uranium, which is why this place is also known internationally. The climate of Kadapa is dry and tropical wet, which is very conducive for tourists. The tourists visiting place like travelling via roads as the road network is very well-built. Also, some of the pilgrimage places in Kadapa are constantly pulling many people to themselves due to their natural beauty. Ongole is very well-known for its attractive beaches, which are visited by many people during holidays. 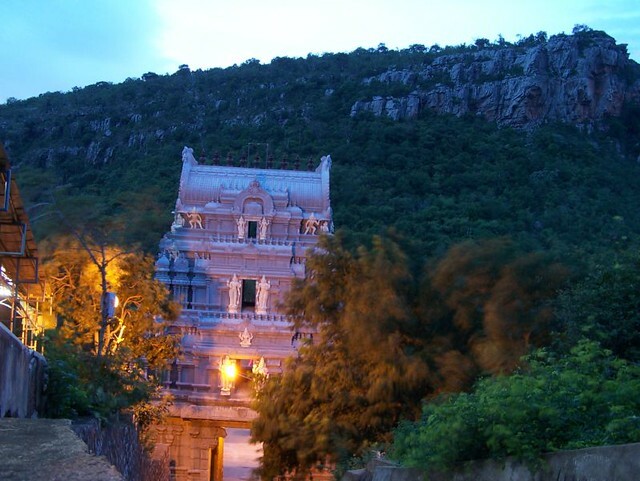 There are also many temples out there in Ongole which are visited by many tourists. The temples are made particularly in the Dravidian style. The water games played at the beaches here are really very remarkable. Many tourist enjoy the water games here. Puttaparthi is well-known all over the world for the famous Satya Saibaba religious establishment. The place being very religious, many people do visit this place from many of parts of India and the world. The Chaitanya Jyoti Museum is really worth visiting where you can get a really nice experience. The Chitravati river is very fabulous which is also visited by many people coming for a pilgrimage. Chittoor lies in the Poini river valley. Chittoor is a very nice place for people to rejuvenate themselves with some of the attractive hills, rivers, forts,temples, etc. This place is not much developed as compared to the other places. However, its natural beauty can really make many people extremely happy. Here some of the amazing fruit farms of of mangoes, sugarcane, grains and peanuts can be found and visited. Rajahmundry is a very well-known place for its different temples. The temples are very nicely carved in the ancient Dravidian style. Also, the river Godavari flows through this region. Many tourists flock to this region, experiencing some enjoyable moments here. Rajahmundry is very rich both culturally and agriculturally. The well-known long road and railway bridge connects Rajahmundry and Kovvur. Amalapuram is a beautiful place in Andhra Pradesh. This place is very well-versed in the Vedic culture. Rice and coconut is found in abundance here.This town has recently shown great development in education and commerce. There are plenty of tourists visiting this place nowadays. The tourist have a very nice time here in such natural beauty.